The Perfect way to start the new school year! Decorate your locker with a magnetized name plate. ~ Choose the Background, Font, ClipArt and Name. ~ Most Magnets will be done with the font color in black, but if it does not look right, I will include a proof in white. ~ Approximate Size: 2 1/4" x 5"
~ You will receive a PDF proof within 24 hours for your approval. ~ Most magnets will be shipped within 24 hours of receiving final approval. ~ Please indicate if there is something else you would like to see - either in clipart or backgrounds. ~ Please also note that, although every effort is made to photograph my items accurately and describe my products in detail, I cannot guarantee every computer monitor will accurately depict the actual color of the merchandise. Please contact me with any questions about the color or size of any item before purchasing. 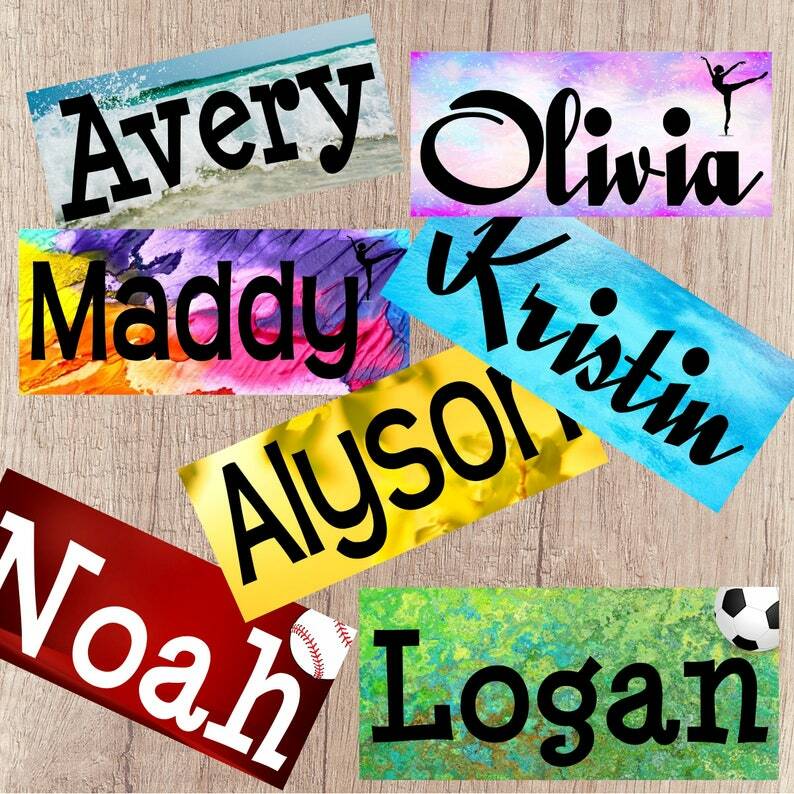 Name Magnets - Set of 4 - Great for Classrooms! Discounts on Larger Sets! SALE! Small Gift Tag Magnets - Set of 4 - Personalized! A Gift Tag & Present All in One! Medium Gift Tag Magnets - Set of 2 - Personalized! A Gift Tag & Present All in One! 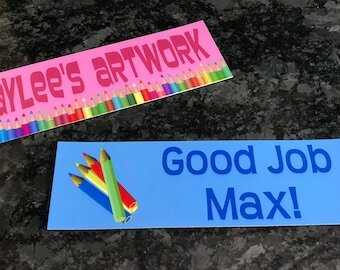 Book Marks - Set of 2 - Great for Book Lovers! Discounts on Larger Sets! Large Gift Tag Magnet - Personalized! A Gift Tag & Present All in One! Lovely design. Fast shipping. Fast and effective communication too. Thank you! Alphabet and Numbers Magnet Set - 115 Pieces! Happy Valentine's Day Magnets - Personalized! Set of 12 ~ Teacher Contact Magnets! Back to School! SPANISH Large Full Calendar Set - MAGNETS - Great for Teachers and Classrooms! FRENCH Large Full Calendar Set - MAGNETS - Great for Teachers and Classrooms!